Kuwait, December 31, 2018: Sheikh Abdullah Al Salem Cultural Centre is hosting a series of entertaining physical and sports activities for the whole family to enjoy. 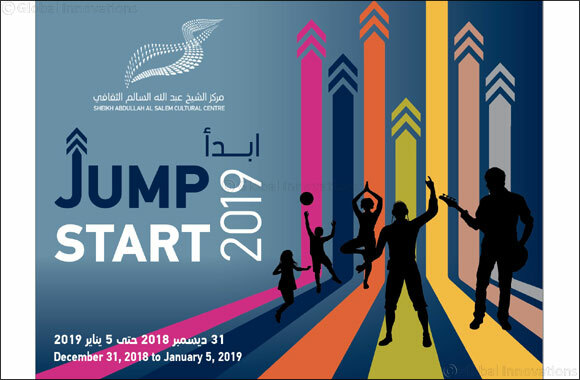 Inspired by the common and popular resolution to stay healthy and fit, the ‘Jump Start’ festival helps participants take their first step towards achieving their goal. The theme of ‘Jump Start’ is inspired from the ‘Human Body and Mind’ museum at the Centre, which reveals how the brain and body work in tandem; it emphasises the importance of one’s health –especially when exposed to viruses, bacteria and the lack of regular exercise. All handpicked exercises promote wellness, since the latter lowers anxiety, risks of heart disease, diabetes and other serious illnesses. With this in mind, the stimulating and interactive techniques taught across the event’s classes can positively affect body and mind, and lead to a much happier lifestyle. The festival runs from 3 PM until 10 PM and continue until January 5th, 2019. Open to both kids and adults, different fees apply for each activity.